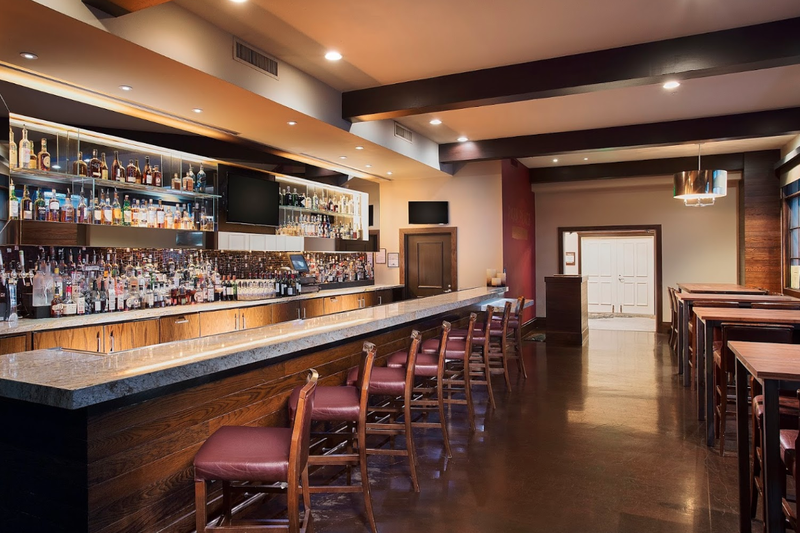 Rent Juniper Hotel | Corporate Events | Wedding Locations, Event Spaces and Party Venues. Want a wedding that’s a little urban, a bit Euro, and a lot stylish? Juniper Cupertino is proof that you don’t have to go to San Francisco to carry it off. The interior of the hotel is neo-Euro style, favoring deep golds and crimsons with walnut accents. The opulent living room off the lobby makes an intimate setting for photos, with its lush drapes, grand fireplace and collection of roomy overstuffed sofas and armchairs. You can serve cocktails and appetizers in the long lobby foyer, airy with French doors and lit by creatively designed wrought-iron sconces and chandeliers. Juniper Cupertino is primarily a business hotel (although it looks far too chic to be one), which means that there are usually plenty of rooms available for out-of-town guests on a weekend. The Grand Suite for the bride and groom is beautifully appointed. Make the most of it by enjoying an in-room spa massage, followed by a relaxing soak in the Jacuzzi tub along with complimentary champagne and chocolates.